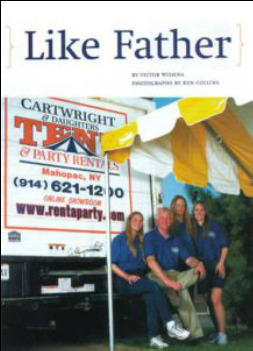 Cartwright & Daughters Tent & Party Rentals was established in 1981 as Cartwright Catering. Owned and operated by Jerry & Pam Cartwright. Cartwright Catering expanded into rental of tables, chairs and a couple of small 20’ wide tents. A few years later, the catering was phased out and the rental company became Cartwright Tent & Party Rentals. What once was a small company grew rapidly in the years that followed, into a company with an inventory of thousands of chairs, hundreds of tables; tent sizes a large as an 80’x120’, several delivery trucks and lots of employees! The Company was even featured in The New York Times and The Avenue magazine. As for us Daughters we grew up in the rental industry watching, learning and helping the company evolve over the years. 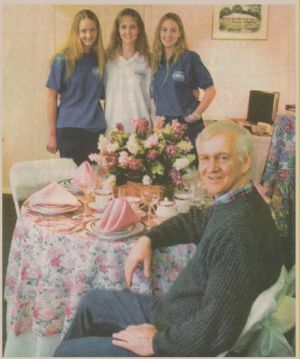 As we got older and took on more responsibilities, Dad (Jerry Cartwright) made a decision in 1999 to change the name to Cartwright and Daughters Tent & Party Rentals. He knows we worked hard and will continue to work hard. It was a way for Dad and Mom to honor us. An honor we greatly appreciate. Cartwright & Daughters always aims to go beyond our clients expectations with quality products, clean tents and superb customer service. Whether you are hosting an intimate dinner party, lavish wedding or a corporate event, Cartwright & Daughters will provide friendly professional service from the beginning to the successful event ending. It is our attention to detail, commitment to our customers and their events that sets us apart from the rest. For over 35 years we have been serving our customers throughout the Hudson Valley area covering lower Dutchess, Putnam, Orange and Westchester Counties in New York as well as Fairfield & Litchfield County in Connecticut. It is our dedication to customer service that has earned us an impeccable reputation. We thank you for taking time to visit our web site. As you browse around if there is an item you do not see, please let us know. We will try to accommodate your request. Stop into our showroom at 1707 Route 6 in Carmel, NY to browse our displays and meet with our friendly, knowledgeable staff. After hours and weekend appointments are available upon request. Remember the day of your event is too late to realize you've chosen the wrong rental company. So make the right choice and choose Cartwright & Daughters for your next event. Let our family create lasting memories for yours. We look forward to working with you.